Scones; who doesn’t love them? When I moved to the UK four years ago, I was obsessed with them and would often drag my friends to cute café’s for afternoon tea, just so that I could devour some amazing scones. Weirdly enough I never tried to make them myself back then, but a few weeks ago I was craving them, and I realised that vegan scones are hard to find. So naturally I headed to the internet to find a vegan scone recipe. I found a super easy recipe on a website called The Miniature Moose and made them right away. They turned out pretty decent, but I made a new batch the other day with a few revisions, which I’m sharing with you today! 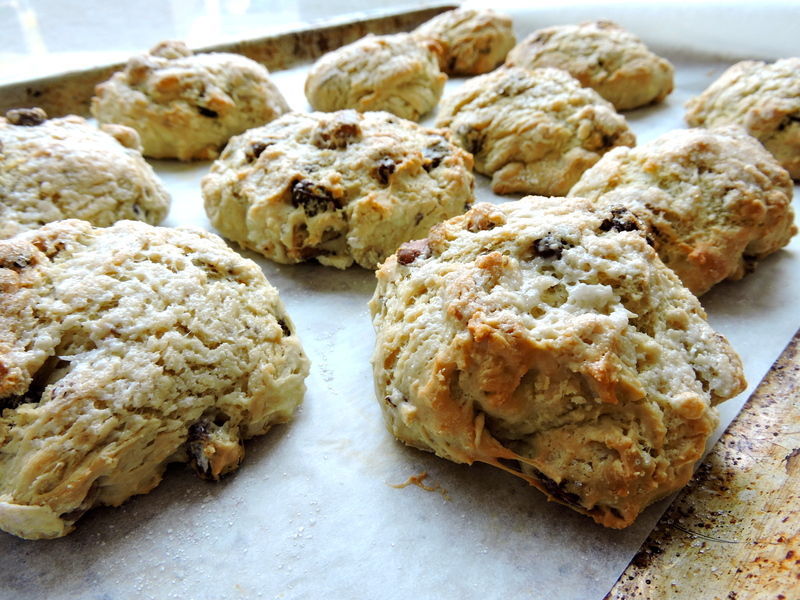 So here you have it; my recipe (based on The Miniature Moose’s recipe) for vegan scones. You can add in pretty much anything you like. Dried fruits and nuts work really well I think. This is what I added. 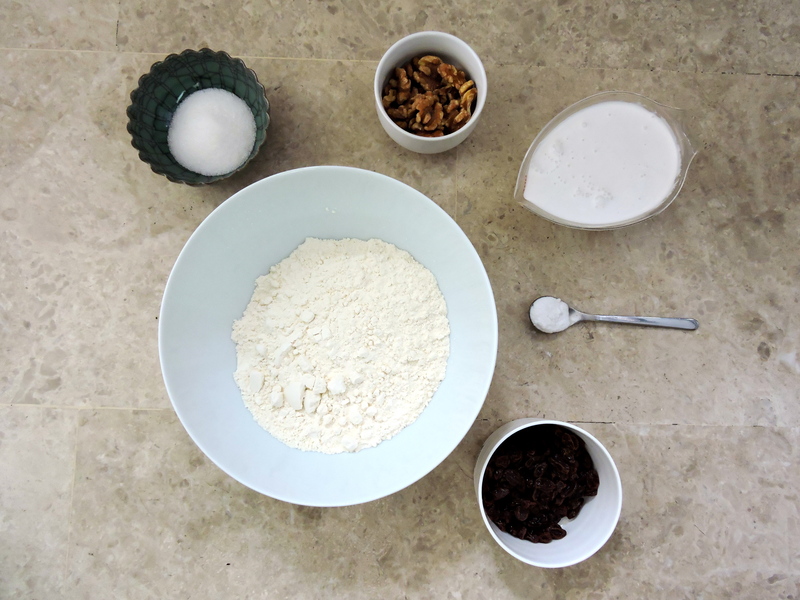 Add all your dry ingredients to a bowl (flour, sugar, baking soda and mix ins) and stir, making sure everything is evenly spread. Add you coconut milk to the bowl, and mix it in. Don’t over mix; just enough to create a rough dough. Flour your work surface and transfer your dough onto it. 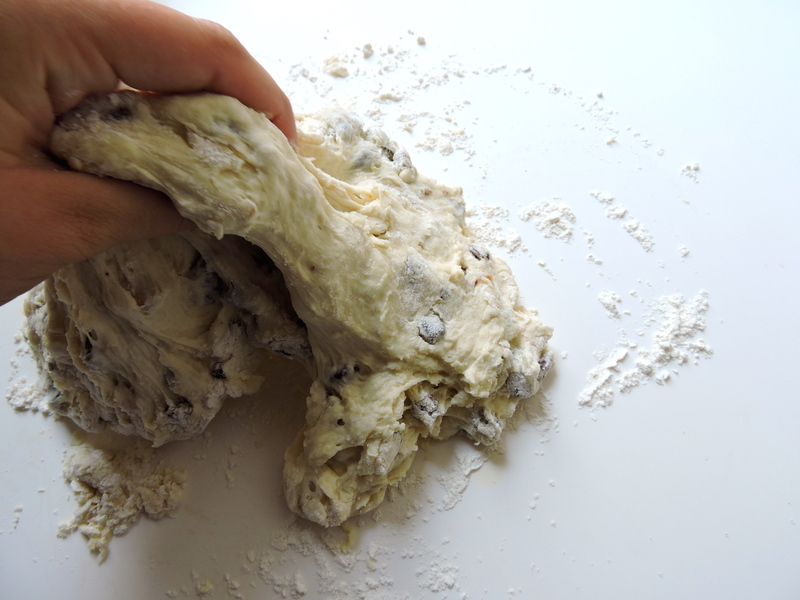 Knead with you hands, for a few minutes, until you have a sturdy dough. If you dough is sticky, add a bit more flour. Grab pieces of your dough and place them onto your baking tray. You can shape them nicely into circles (or any shape you like); I like them being a bit irregular so I don’t do this. 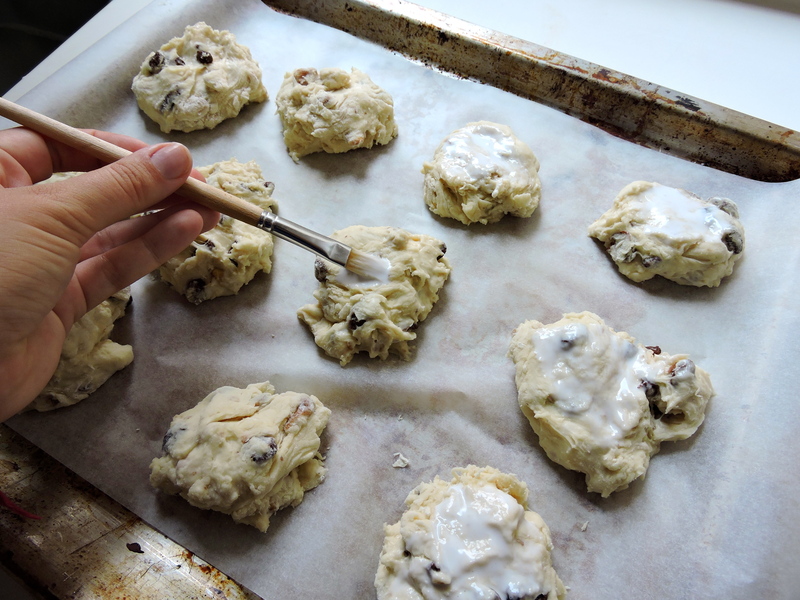 With a kitchen brush (or just regular paint brush, like I used), spread your coconut milk on top of the scones. When this is done, sprinkle your sugar on top, so that it sticks. Bake you scones for 18 to 20 minutes, until they are slightly browned. Let them cool for around 10 minutes if you want to eat them right away, or let them cool completely before putting them in a airtight container. These scones are delicious with jam, margarine, coconut cream or just plain! They keep well for several days, so don’t be afraid to make a large batch to snack on for the week. Let me know if you try out this recipe, and how it turned out! What are some of your favourite mix ins?